In 2007, Bill Underwood’s Beauty Grade Machine®, received its U.S. patent (7,193,694B2) for the laser technology. The machine is the only technology of its kind to exist in the world and is incredibly accurate. The machine measures the light return from a diamond and is used for grading the diamonds. It is based on a scale from 1 to 100; 1 being worst and 100 being best. 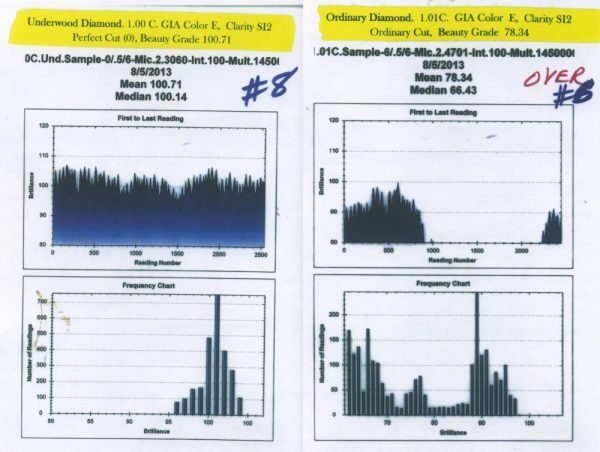 The machine is changing the way customers and jewelers can view and grade their diamonds. INSTORE Magazine stated, “The entire process took about five minutes, and the results are compelling.” View the article here. Want to learn more about Underwood’s history? Visit our website!